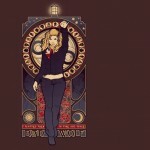 Global Geek News > clothing > Amazing Doctor Who ‘I Am the Bad Wolf’ Tee $11 Today Only! Anybody who has been a reader of Global Geek News for any length of time knows I have a slight obsession with artwork by Megan Lara. I tend to become especially crazed when the design is focused on Doctor Who. I have t-shirts of all of her Doctor Who designs and a few others ranging from the Legend of Zelda (coincidentally, that is the one I am wearing now) to Battlestar Galactica. She really is an incredible artist! 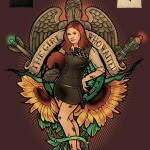 Well, speaking of her incredible work, another one of her amazing Doctor Who inspired shirts is on sale for just today! 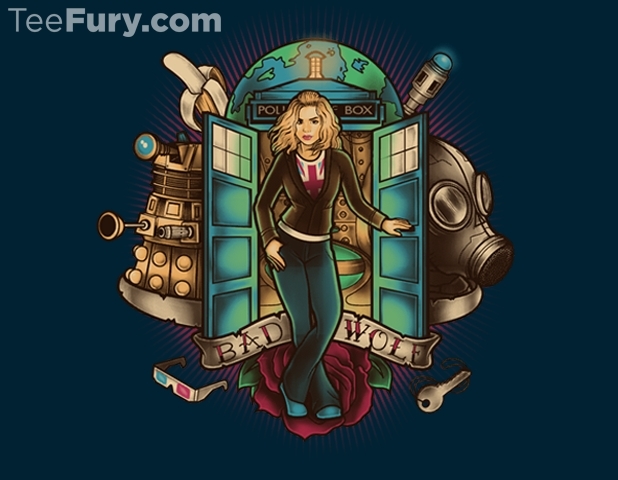 The incredible folks over at TeeFury are selling this ‘I Am the Bad Wolf’ t-shirt for just $11 today only! 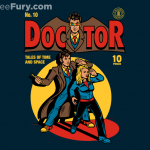 This design is the last in the collaborative series of Doctor Who shirts by Megan Lara and Omega Man 5000 and it might be my favorite! 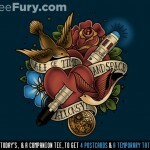 There is a lot in this shirt that any Whovian is sure to love from Rose Tyler to the Doctor’s 3D glasses, any Doctor Who fan will fall in love with this shirt. This shirt also makes it appropriate to ask people if they are your mummy and when they respond, yell EXTERMINATE! 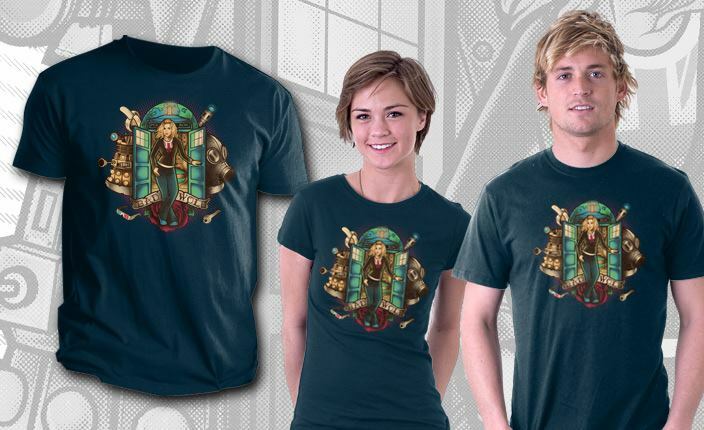 I will be buying this shirt as soon as I finish this post since I have to have the last in the series considering I have all of the others. If you get the shirt too, let us know in the comments below! 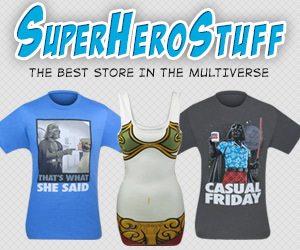 Also, using the links here (above or the source link below) supports Global Geek News because they are affiliate links and we get a tiny percentage of the sale.